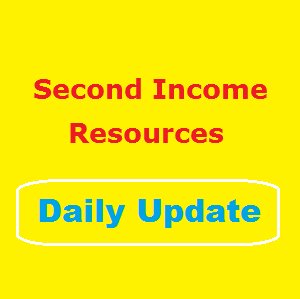 Second income ideas for people searching additional income sources working online. I know the exact feeling when you have taken your first step to make money online. You want to see the result quickly if not instantly. If possible you want to see your PayPal account showing the green dollar after taking your first action. It happens to everyone who are just starting to use internet to make real money. I used the word real intentionally as many still believe making money with internet is scam which is definitely not true. As you will read more, you will get to know that making money online is definitely possible and if you are serious enough; you can make money quite fast as well. Considering you want to make money fast, I will only concentrate on topics which pay you just after finishing the work. Hence I will not discuss money making opportunities which involves amazon associate, CPA, kindle publishing, blogging, affiliate marketing or not even creating your own website. Although all of these methods have great potential to make you huge money, but that take time. That’s why I have only considered those techniques using which you can make money very fast almost instantly. It is like you do the job and get paid immediately to your PayPal account. So let get started! Now days you will not find a single person who is not using Facebook, Twitter or Instagram. It is quite obvious that you too have one of these social media accounts. But do you know that these social media account that you’re using can also make you money? It may sound awkward but it is actually true. Actually there are many big to small organizations that use social media to reach people like you. They want engagement from user like you. And in return these organizations will pay you dollar. It does not take much time to complete these simple tasks; hence you can make money rather quickly. Are you someone who loves to take pictures and regularly post on Instagram? I know the feeling when you get comments from fellow instagram members on your photos. But would you mind if some companies pay you money for doing that same thing? I am sure you would not. You may be thinking if I am joking or what. But the reality is big online organizations are looking for people like you to fill your pocket. Whether you would take this chance or not will completely depend on you. But seriously if I were in your position I would grab this opportunity in both hands. Internet is full of different websites and every day new domain names are being registered. This is quite obvious that these websites need content in form of articles, reviews etc. Have you ever wondered who writes these content for websites? It is of no secret that people like you write content for websites. Even I used to write content when I just started making money online. From my experience I can tell that you can make pretty decent cash writing articles, reviews and things like that. If you are one who enjoys writing content; this option can be perfect for you. And not to forget the perks, if you can get writing jobs from big organizations; they will pay handsomely enough to quit your current job. Moreover most clients will pay you in advance, so you can readily see the money in your account. Doing survey is one of the best ways to earn money online when you have very little skill and idle time in your hand. It requires no technical skill whatsoever just answer some questions and you get paid to your PayPal. It is as simple as that. At the same time you need to be very careful while completing survey because scams are pretty common here. Hence make sure to do some research before doing surveys online. Once you have opted for a legitimate survey, making money online will be profitable and easy task. For example there are many survey sites which regularly pay up to $75 per survey. Now do the math to understand the huge earning potential. Many big and small size organizations are always in search for creative talent. And drawing artists are in big demand these days. Why? Because you must have heard that - a picture is equivalent to thousand words. Online companies also seem to realize that proverb quite well and looking for talented artist like you who can draw their imagination into web. For your talent they are ready to pay huge money as well. So if drawing is your first love it is time to convert that love into dollar. What is more promising, this specific market is growing very fast and you can only expect to make more money with time. These are the easiest and fastest ways to make money online that I have come across. 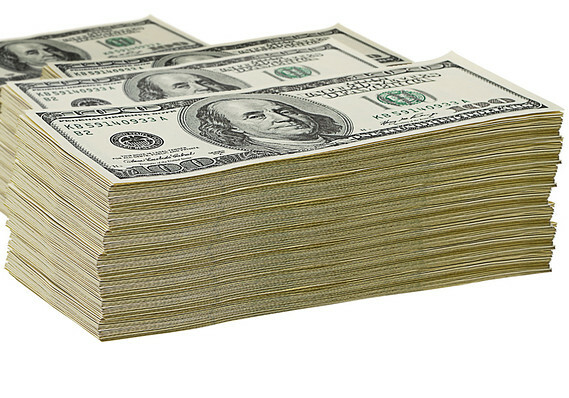 If you need urgent money, you can start with any one of those methods which you like and start cashing in. Also if you face any difficulties of any kind while implementing those money making techniques, you’re welcome to comment here for solution. It is fixed now. Enjoy reading my blog to know more ways to build second income online. Looking for best trainig abaout Digital Marketing? Digital marketing helps to your online business. Money Making Tips and Tricks!